Meet Monkey! He is with a No Kill Harford foster family. 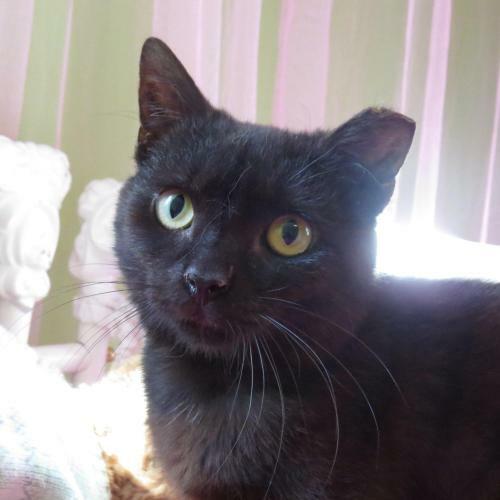 Monkey is a 6month old snuggly lap kitty that craves human affection. His foster mom has a 5yr old and Monkey is his shadow. Monkey got his name because the end of his tail has a curl. He likes to sit on shoulders, and he holds onto things tightly with all four paws. Monkey came from our TNR program(Trap Neuter Return), which is why he has a tipped ear, however he was so friendly that he was held back to be adopted out. He will sit on your lap and not get off, he is sure to melt someone’s heart! Monkey’s adoption fee is $50. He is neutered, combo tested negative, up to date on vaccines, microchipped, dewormed, and treated for fleas.